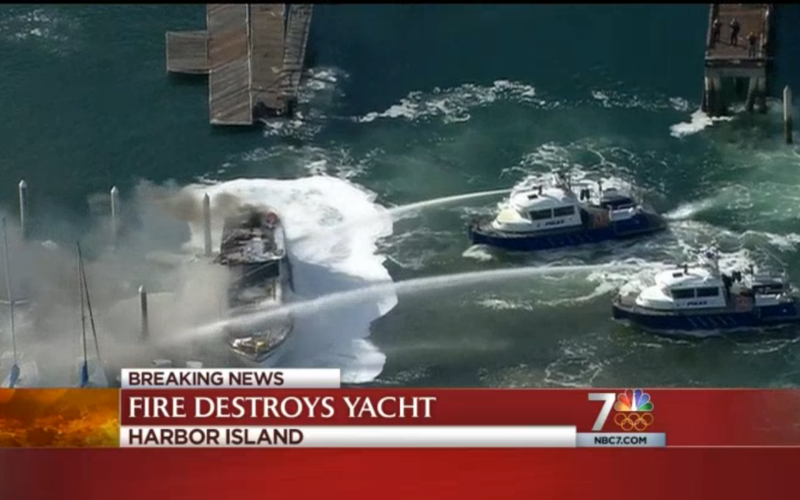 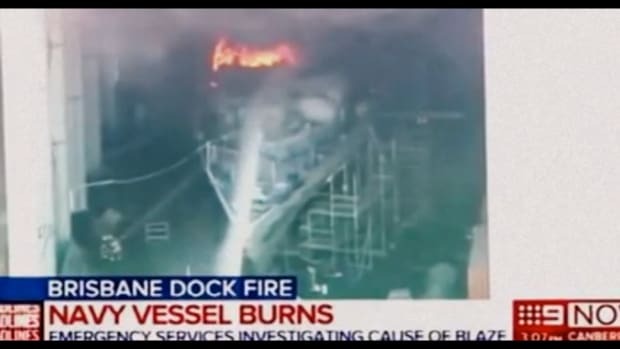 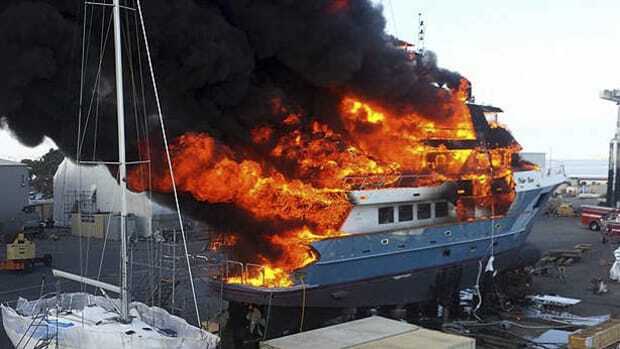 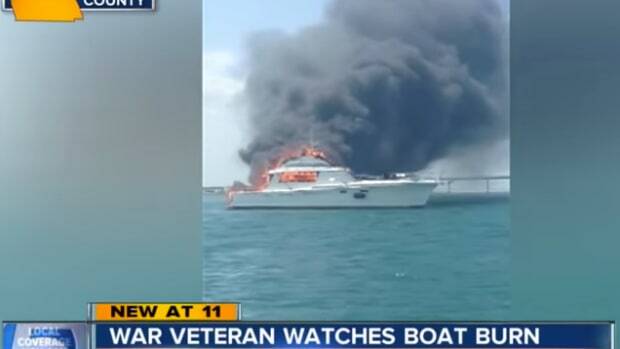 Christmas lights left on overnight may have caused a fire that destroyed a 57-foot Chris Craft Constellation docked at a San Diego marina. 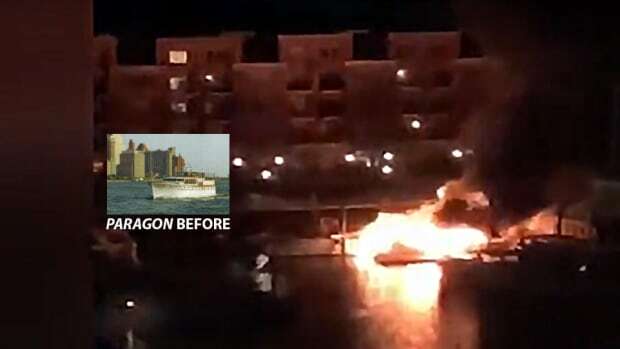 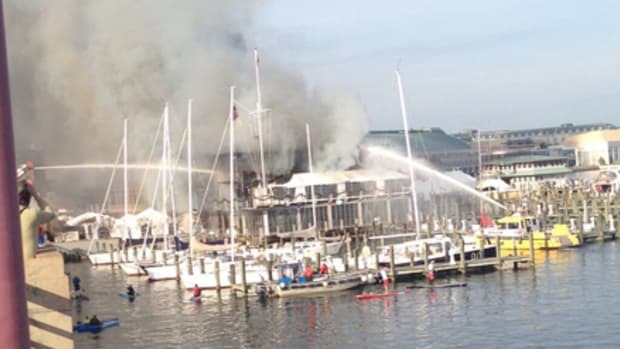 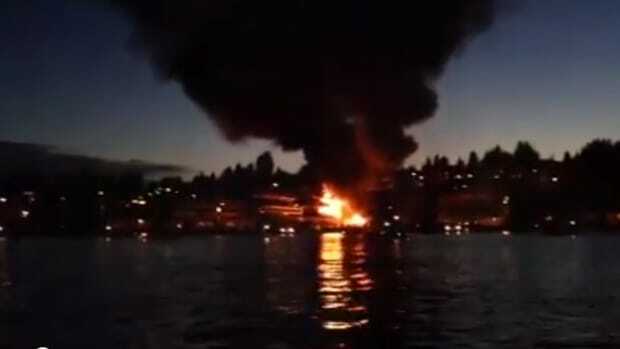 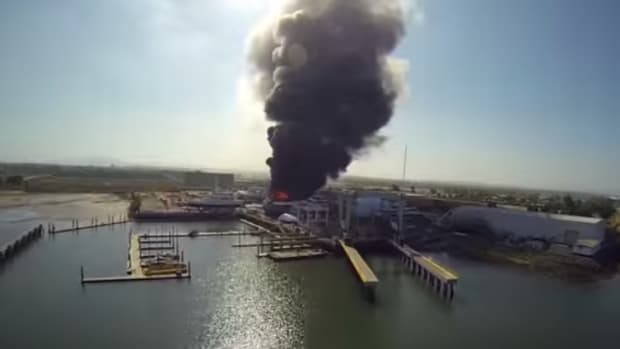 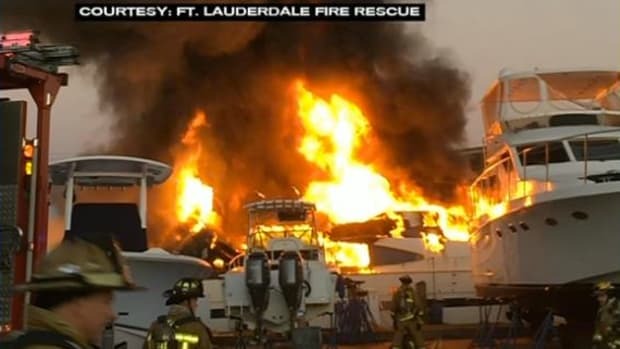 Sea Siesta, which was used as a floating bed and breakfast, was docked at the Sunroad Resort Marina when the fire started on Monday morning. 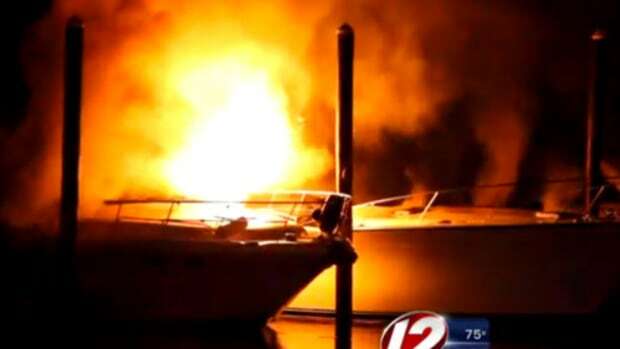 The owner was on board at the time of the fire and was pulled to safety by members of her crew.